Meet the Springfield Public Schools Hall of Fame Class of 2016, which includes three graduates of Glendale High School—from three different decades—who are making significant impacts on their communities, their nation and the world at large. As the largest district in the state of Missouri, Springfield Public Schools has produced graduates that have accomplished amazing things. For a certain number of them, the accomplishments are Hall of Fame–worthy. 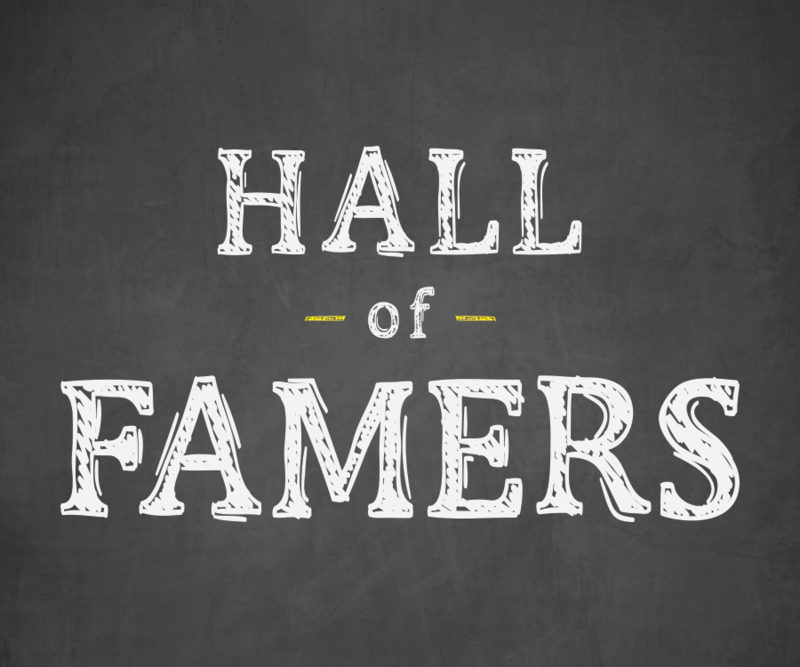 Established in 2010, the SPS Hall of Fame is reserved for graduates of the Springfield R-12 School District who, in addition to professional accomplishments, have demonstrated a commitment to giving back to their communities and are advocates for public education. Past inductees include entrepreneurs, military heroes, business leaders, humanitarians and more. Inductees are nominated by the public and selected via a selection committee. The committee typically includes at least one student, two principals, parents, community members, a representative from the Foundation for Springfield Public Schools, a previous inductee, the school board president or others. Read on to meet the Class of 2016, which includes three graduates of Glendale High School. Today, access to health care for the poor and the effects of addiction on overall health are important topics in the political and medical arenas. In part, Dr. Adam Gordon is to thank for that. The 1987 graduate of Glendale High School enrolled at Northwestern University that fall, and he took an interest in Chicago’s underserved populations. During his junior and senior years, Gordon visited the most impoverished areas of the city and decided that medicine—specifically medicine for those who don’t have access to it—was the career he wanted to explore. So he applied to and was accepted at the University of Pittsburgh Medical School. “[U of P] had a very well-rounded approach to medical education, and seemed to foster their students to explore communities, think outside the box and not just be a typical clinician,” Gordon says. 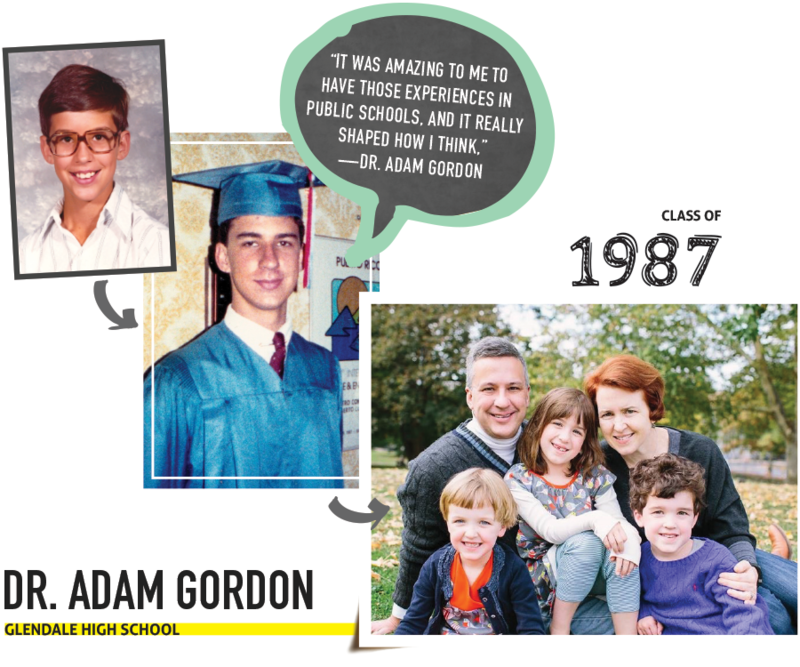 After medical school, Gordon began a three-year internal medicine residency at the University of Pittsburgh Medical Center. At the urging of a mentor, he attained a master’s in public health and in 2000 joined the faculty at U of P Medical School, where he is a professor of medicine. Since then Gordon has emerged as a leading voice in improving the health of homeless populations and patients with addictions. “The addiction revolution we’re going through has been in part because the fields, in my perspective, have merged,” Gordon says, citing significant overlapping research. And although Pittsburgh is his adopted home, Gordon says his upbringing in Springfield paved the way for his success. 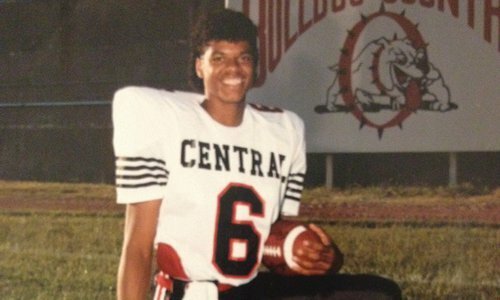 He attended Pittman and Wilder elementary schools, and then Hickory Hills Middle School, before going to Glendale. Gordon was a member of one of the first cohorts of Springfield Public Schools’ WINGS program for gifted students. 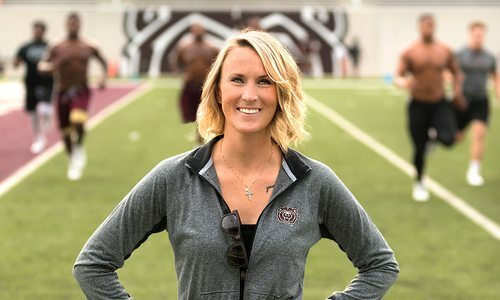 Gordon credits that program, and instructor Sara Lampe, for instilling the outside-the-box way of thinking he holds so valuable today, and for helping him think beyond curriculum. In a similar way he fondly recalls a geometry teacher at Glendale, Wayne Nelson, who on the first day of class informed the students that there would be no textbook. “It was amazing to me to have those experiences in public schools, and it really shaped how I think,” he says. High school extracurriculars in forensics (he competed at nationals in cross-examination debate) and science competitions (Gordon presented internationally on a project about light attraction for fruit flies) further honed the skills he now uses as a research and policy professional. 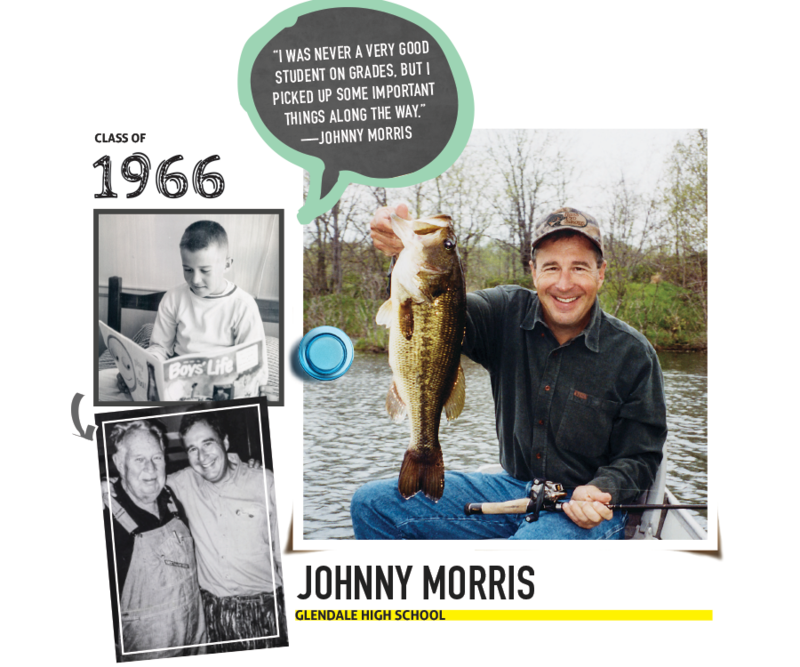 By now the story of Johnny Morris is the stuff of myth: A boy who grew up working in his father’s liquor store builds on a passion for fishing and the outdoors to establish a business empire. 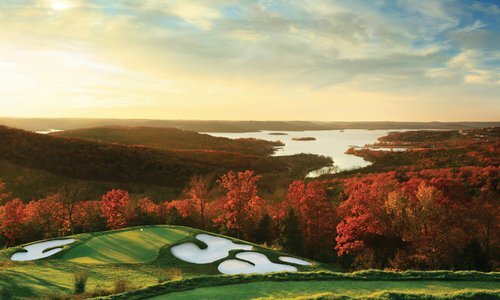 What started as a modest string of southwest Missouri bait and tackle stores is today Bass Pro Shops, the undisputed national leader in outdoor retail, selling everything from drink koozies to boats. 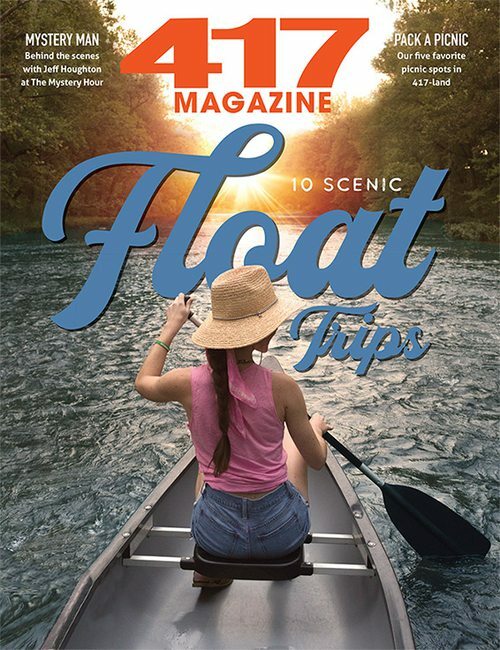 Although Bass Pro’s reach is international, Morris has become a true 417-land legend by keeping his empire—and its focus—local, with an emphasis on educating the public about the wonders of the outdoors. It’s for all of this and more that Morris has been inducted into the Springfield Public Schools Hall of Fame. A 1966 graduate of Glendale High School, Morris counts family among his best teachers, including his father, John A. Morris, and his sister, Carol Robinson, a teacher who he says helped him learn to write and communicate effectively. At SPS, Morris attended Parkview, Central and finally Glendale. He credits John Kirby, a vocational agriculture instructor at Central during his time there, with not only planting the seeds of starting a business, but also with providing valuable lessons about how to treat people. He also fondly remembers Beverly Aton, a Spanish teacher at Glendale, for passing him “out of the kindness of her heart,” he says. “I was never a very good student on grades,” Morris says. “But I picked up some important things along the way.” Fast forward a half century, and Bass Pro Shops is one of Springfield Public Schools’ most valuable partners, hosting the Wonders of the Ozarks Learning Facility (WOLF) environmental track for fifth graders, as well as last summer’s “Explorer and Survivor” summer program, which included trips to Dogwood Canyon, owned by the not-for-profit Johnny Morris Foundation. Morris’s Top of the Rock golf course and preserve south of Hollister also features historical and environmental tours popular with students. “With the WOLF school we have an opportunity to advance curriculum and messages that can be shared in many schools across the country,” he says. Additionally, the soon-to-open Wonders of Wildlife National Museum and Aquarium should prove to be a major attraction for students and educators, as well as tourists. High-tech educational features and attractions aim to help expand Morris’s passion for nature education to a national market. A main point Morris likes to drive home is everything he has done and built has stemmed from his original passion for the outdoors. He hopes he can help foster similar inspiration in today’s students, who he admits have some amazing technology at their disposal for both learning and recreation. Not every SPS football standout—even the best of them—has the talent to play football at Notre Dame. Even fewer have the wherewithal to become a Navy SEAL. William Wagasy did both. Growing up in southeast Springfield, Wagasy attended Horace Mann and Field elementary schools, Pershing Middle School and Glendale High School. At Glendale he was a football standout and credits coaches Bob Price and Jerry Boyer for the hard-nosed approach that would help him later in life. “They really knew how to bring out the best in you and prepare you,” he says. He was particularly appreciative of the team’s quickness program, which helped him not only to play outside linebacker and special teams for Lou Holtz’s Fighting Irish, but also in his future military career. In the classroom, he credits his Glendale accounting teacher, Judith Askins, for inspiring him to become the only accounting major on the football team at Notre Dame. After graduating from Notre Dame in 1996, Wagasy earned his Juris Doctorate from Pepperdine in 2000 and his masters in dispute resolution in 2001. 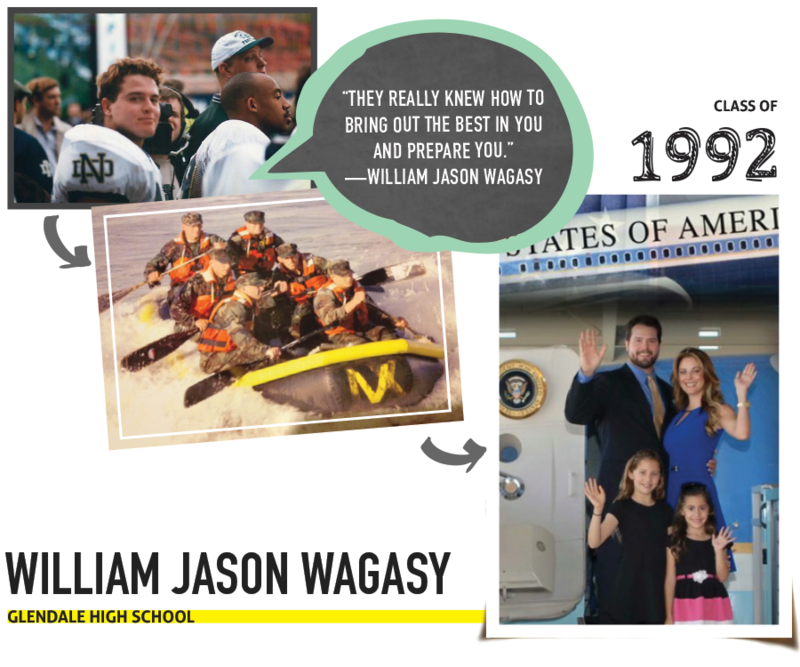 He was on his way to a career in law when, in March 2001, Wagasy decided to join the Navy Reserves with a dream of serving his country, and perhaps someday becoming a US Navy SEAL. Then came September 11, 2001, which created an intense sense of urgency within him to make his dream a reality. “That was the catalyst for dropping everything and putting everything I had into being a Navy SEAL,” Wagasy says. And finish he did, beginning a career that included three deployments to Iraq and one to Afghanistan. Wagasy retired as a Special Operations Chief (SEAL) in 2012, and left the Navy Reserve in December 2015. Today Wagasy is back in the private sector, working for Fidelity National Financial, and is also an ambassador for the Gary Sinise Foundation, a national support organization serving active military, veterans, first responders and their families. Now living in Los Angeles, Wagasy travels two to three weeks per month for work but still loves coming home to Springfield to visit his family. “I’ve traveled the world and the U.S. and I really appreciate coming back to Springfield, and the upbringing I had,” he says. 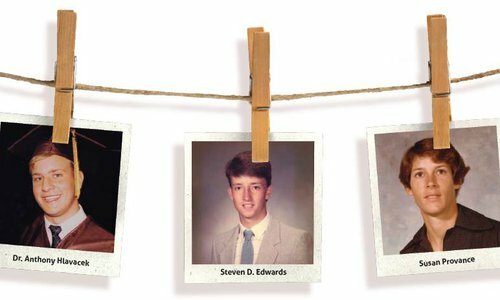 Meet this year's four Springfield Public Schools graduates who are being inducted into the SPS Hall of Fame.